Perfect kit for beginners at jewelry building. This Earring Kit has eight pairs of earring to assemble. There is a design pattern included in this kit. It includes 190 pieces with tools to necessary to build. 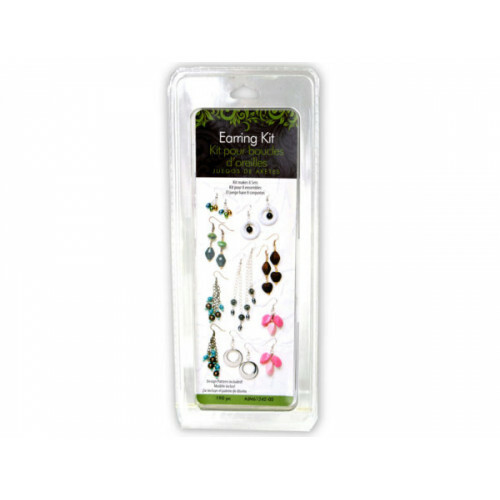 The earring Kit is not a toy, only for children of 15 years of age and above. It comes packaged in a hanging blister pack.